Don't ever say there is no solution. It's an elephant in the room. There is simply no action. It hurts to say this. There are 2 modern Jews. The Israeli secular Jew that follow norms, statistics and dominate the Knesset of the Medina. They are a people like all other people struggling to figure out the abnormality of Anti-semitism and the world obsession with the Jewish people. These are Jews endlessly fighting the symptoms unable to see through to the cause. Most of history is one of the 2 paths above. You the reader can put history into proper perspective now given the above clarity. Unfortunately too often the painful way of falling into the "norms of society" giving way to the "Brit" (Covenant) has been the path taken. Have we learned ? No, for to learn, we must recognize what I've written above. Then we must act with faith to blaze the apparent giving way for the truth. By definition it will seem hard and against the flow of the world, but that precisely is the purpose and mission. Herein, also lies the fruits and rewards in the aftermath. A description of a false premise one way or the other remains a false premise. There is no Palestinian people and a Palestinian state is not what is being sought after it. The more this concept is drilled, the more Israel (the weaker party) keeps bowing and bending to a pretzel, and the more the US easily bends the softer side (Israel). In the meantime, the Arab become emboldened, kidnapping Soldiers, returning soldiers in body bags, continuing attempted terrorism, declaring Hamas as a political force, self declaring a state etc..
Only delirious Jews who can only stomach norms and statistics over Torah and our brit will continue this charade. Only assimilated Jews will rest their future on Obama's words or any other Goy. These Jews cause more un-explained results against their own expectations. The Arab and the Gentile world's hate of the Jew grows with their every step. Generation after generation becomes more confused and disheartened. This in turn, produces endless self centered politicians lacking an understanding of our homeland even after our Jewish history and the holocaust. Future catastrophes for the same reason will ensue. This will continue until we have nothing more to give and all our existence to lose. And then, only then the foolish Jew will see the hard way after taking with them so many more korbanot sacrificed on the alter of disbeleif. The poor Jews who never learned this lesson. The poor Jews afraid to be distinct. Herein, lies the tragedy of Today and the missed lessons of history. To The Conference of Of Presidents of Major Jewish Organizations . We know the established Jewish organizations are timid and careful not to stir ruckus among American Politicians. They’ve failed us in protesting against the Rabbis March on Washington in 1943 where we lost 12,000 Jews daily on German Trains to Auschwitz while Jewish Organizations remained paralyzed in the name of fear and their positions. We will never forget this. So too was the plight of the Russian Jews in the 60’s and 70’s where if not for Birnbaum and Rabbi Kahane to take up the cause alone during the most crucial years where Soviet machinery spiritually wiped away our brethren Jews, the fearful Jewish organizations would have remained paralyzed indefinitely. Today we only pick up the pieces and pay the price of assimilation due to their failure. Now there is another crucial time in Jewish history, where the assimilated US Jewish population clueless to see the dangers of electing an anti-semite in disguise to the White House are instead easily convinced by the antics of an assimilated Passover Seder with the President. At AIPAC , Hillary Clinton received an enthusiastic reception by Jews who are supposed to know better, but who instead politely listened to her absurd statements . So now today, we have a Jewish American population supporting a fictitious lie of a Palestinian People in place of their own Jewish existence. 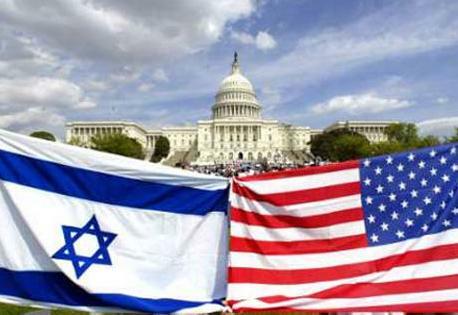 We the laymen of the Jewish nation, emphatically ask once again directly - the Conference of Major Jewish Organizations to hold a March on Washington protesting the White House’s wash of the real issues, to refute the outward animosity toward the Jewish state. Not for the Gentiles to save us, but far more importantly to awaken the dormant Jews of America. As an Oleh of 2005, I supported you at elections after hearing 4 or 5 Likud MK’s speak in Ra’anana on how you and the Likud are different. Different in our basic belief of Yehuda Veshomron as an integral part of Israel – in fact even more so than Tel Aviv. Sure I assume many unknown details in government dealings, yet some principles are clear before it’s outcomes and certainly afterwards such as was Gush Katif. Given your actions have shown the immediate folding on Yehuda Veshomron, no answer can be acceptable. I know you strongly want US support. But when Israel went it alone in 67’, in Entebbe, in Iraq's Osirak Nuclear plant, it strongly proved the ‘right thing’ must be done regardless of popular opinion. In fact, if there is anything that defines our times, it will be this requirement – to act against popular opinion in the ‘right’. This is the sign of true leadership, and the guiding light of your forerunner Ze’ev Jabotinsky as you well know. Entertain the following thought… We declare the terror and hatred, the textbooks and the speeches at mosques, the charters and the history of Palestinians have caused only one political direction. The false claim, false propaganda, and false rewriting of history brings only 1 light of truth. But more than ever, the truth that this little piece of heartland rightfully belongs to it’s owners the Jewish people. Then create a politically correct as possible plan to have the Jordanians and Egyptians in their vast lands set up a “Palestinian State”. Push the agenda, slowly and calculated, yet determinately. Let their Arab brethren try explaining away and put the fault back where it belongs. Let the world jump and scream. We have all too much to answer in a logical format & reasoning. They will soon quell in their yells and accept. If not in 1 month, in 6 months. Yes, the answer can be that simple. In fact, weigh the odds of all the peace attempts, and ask yourself is there a G-d withholding back this route we’ve chosen? This is where your belief must understand. Why, why one asks can’t it be done. Impossible ? Nonsense, the birth & survival of the Jewish people as you well know was impossible but is. Certainly this can be so. Remember, there is a G-d as even Golda Meir admitted. So my request is, please act with a little belief. The people and more importantly G_d will allow it and those that don’t will see the truth later. Believe, that Israel will not only economically avoid loss and respect, but actually gain the respect and desire of the world to Israel. Our Rabbi’s tell us this is a world of opposites in truths, this surely is an example of such. I am sure of this conviction not only in logic but deep Jewish belief G_d so earnestly desires us to show. I hope you can sense it as well. Then, Iran too will be a test of your belief and it’s outcome that of Osirak even though it’s challenges seem so much greater. In front of the God of Israel, it is but a speck of dust to do away with. I would appreciate acknowledgement of this letter by your office and your response even if it is brief. Should Jews implement religious rules as law in the land of Israel ? Shouldn't Religion and Politics be separate ? Wouldn't it be harmful to force religion thus causing it's repulsion ? At the surface the arguments above sound reasonable. Yet Judaism is different - always was. We are not just a religion but a people with a creed from God to guide personal and national life. Since we have been in exile for so many centuries Judaism has been limping on one foot. It has been turned into a personal guide and it's national guide has been lost. But all is not lost. It is for that reason that the state of Israel is a process to re intimate our People, Land and Religion. The breastplate was the conduit of communication for the nation to go out to war or any other national question. Kings ruled by the Torah the nation and has special commandments to carry a Sefer Torah with him at all times. Rules by the Torah governed the King's abilities to limit wives & horses. The shmita & Yovel governed the land and it's use nationally. It all goes without say, that the Sabbath, Holidays and personal Jewish laws were experienced on the streets of Israel nationwide. So today when the question of Judaism to be imposed statewide arises. The answer is clearly yes. True coercion is generally not helpful. Yet on a national level Jewish law ensures and helps create the framework of which Jews live in. It happened in Yehizkia’s time, where he deliberately ruled to abolish idol worship. It happened in Shaul’s time when he outlawed witchcraft and sorcery. The Sefer Hachinuch implicitly writes “Mah shelo Lishma Ba Lishma” – Correct action leads to proper intention thereafter. It happens today on Yom Kippur where no driving is a law and now the secular Jews appreciate it. Swine and Pigs are outlawed to be raised on the holy land of Israel and favors little opposition for it's inherit feel of a Jewish state. In fact, there is nothing more important than the requirement of Jewish law without choice as is commanded to every Jew to be instituted nationally so that more and more our country is in line with Halacha as just a way of life. Have you ever been to Tel Aviv on Pesah. It’s horrifying to see restaurants serving thousands of Jews Unleavened bread - the punishment of which is "karet" spiritual removal from the Jewish nation ! We are saving souls from "Karet" by implementing a law to disallow it. It is so hard to keep ? Not eating Bread for 8 days whether your forced not to, will eventually be recognized and appreciated by all and unifying our people and country for the future to come. Yesterday 12/24/09 a father of seven Rabbi Meir Chai was killed in a drive by shooting attack near Shavei Shomron. Israeli Police dumbfounded by the several bullet holes riddling the car. His provocation: being a Jew. In March, two Jewish traffic policemen Yehezkel Ramazreger and David Rabinovitch were shot dead in the Jordan Valley. Their Crime: being Jewish. In April, 13 year old Shlomo Nativ was stabbed to death near his home in Bat Ayin. His crime: being a Jewish boy. These my friends are a taste of sacrifices of Jewish blood despite a NIS 2 Billion s spent on a security fence to keep them out, $50 million budget allocated to protecting settlements and NIS 50 billion national security budget to stave off the terrorism. All the while the poor in Israel go hungry and the tension rises to meet the 46% tax rate for an average salary earned in the US. The outrage continues. Does the average Jew know there are NIS 2 Million given to construct and renovate Arab Mosques in Israel. A proposed NIS 157 Million (a raise from 85 in 2009) for exclusive Arab construction in the land of Israel. A request to open a staggering 9,300 Arab classrooms while all of Israel's classroom budget is 2,850 in the next 2 years. Jews struggle to increase the level of education success among Arabs whom drastically bring down national levels. The outrage continues as Israel bows in sacrificing Jewish well being for Arabs. Arab tax collection rate is approx 20% compared to 65% in Jewish areas. The Arab Council of Municipalities - reports Haj "82% of Arab municipalities in Israel are ranked 1 -3 on a scale of 10 socioeconomically. The Israeli Ministry of Finance in 2010 dedicated an investment fund coming out of the PM's office dedicated to Arab businesses in Arab localities. The Israel Ministry of Trade plan 470 new Arab daycare centres in Arab cities to keep up with exploding Arab children population. All the while emboldened demands for a guarantee that Arab localities be included in Israel's priority map. Is this the Jewish state we escaped the Gentile Pogroms, Arab Massacres, and Nazi Holocaust for? Have we forgotten that while Jews contributed extraordinarily to every Gentile country, we were persecuted, expelled and killed. Now we the Jewish people remnants of the souls of Jewish persecution bow and acquiesce to Arab hostile takeover and Jewish sovereignty in the heartland of Israel Judea and Samaria. Emboldening, empowering and financing our enemies within to stay and grow at our expense and god forbid with their goal of our demise. Is it no wonder our Jewish youth are so confused ? Not because a key checkpoint was removed a week ago near Shavei Shomron did this occur, for that is only a symptom of a much larger ailment. Our ailment - we are scared to remove the Arabs from Israel. We the Jews are doing the most unnatural thing. Not only are we supporting and buttressing the next generation of enemies with education to fight us in the intellectual and political realm as we see in Haifa and other universities across the country, but that we are forcing them up to Jewish standards and forced assimilation rather than their natural integration with their Arab brothers in Jordan, Syria, Egypt, Lebanon, and a host of other Arab countries occupying 99% of the Middle East. Of course, if I were Arab, I would keep this hush and enjoy the bounty of hard work and sacrifice the Jews are affording Arabs in Israel unmatched by any Arab fellow country. This in light of historical facts that clearly wash away the hoax of a created "Palestinian people". The propaganda has worked so well even that even Jews of this generation believe it. What then can our youth the next generation believe in? Let us end this and quickly. Today's incident of Rabbi Meir Chai's loss of Life shot by another Arab is meant to invoke our outrage. I call upon the Jews of Judea and Samaria - Jews of all of Israel to go out and protest our outrageous government policies towards Arabs and demand the deportation of Arabs from Israel back to their Arab lands and end this charade. We have hundreds of thousands of Arab terrorists roaming our backyards in Israel. Baseless Jews like Goldstone as a product of self gain, outrageously bashing Israel in the most honorable defense of Military history at the expense of our people. And we the Jewish people find it a need to put a Jew, Yaacov Teitel on our front pages as our biggest concern against terror. No one can endorse baseless terror of a Jew to anyone let alone another Jew. But what does one do, when a sickness threatening to destroy a much larger whole takes hold – drastic measures are the only response. Yaacov, probably fed up with the powerless sanity of Jewish right to live in Israel after 3000 years of Pogroms Inquisitions, Holocausts and annihilating wars against Jews, to even believe there is a need to tell that to the surviving Jewish Political powers ? Yet what can one do, when the cowardice bowing of the left in Israel has surmounted to all our losses and failures. Having in it’s early years attempted to delegitimize rescue of Jews by leaders such as Jabotinsky and Rav Ahoron Kotler for political personal gains, rejected survivors of the Holocaust to enter Israel for personal views, destroyed young believing early immigrants for the creation of our degenerate young that already today don’t know why they are fighting and to continue to lose Israeli territory & sovereignty as the Arabs are emboldened and radicalized with clear calls of destroying us. The leftist culture is outrageously alive and well exemplified when our last left government Tzipi Livni, provoked our own Noam Federman without reason having razed his home down at midnight with 8 children, trampling Mezuzot and Sifrei Torah for no reason at all, except to provoke a response that would strengthen her Governments position. How long can this Jewish insanity continue as we ignore the truth of Arabs desire not for land but for wiping out Israel ? The truth that it is against our Jewish creed and an insult to God to recede our inheritance. Yet it continues. So when the call of Jews to Arabs around and within us are to ‘melt’ against the call of the Jew by God to be “Separate and be Distinct”, to our horror we need to raise the banner of a Jew Yaacov Teitel who had enough of the useless band aids and went for long awaited surgery. The result, the leftists have made it front page and it’s major topic of Agenda, rather than deal with the ever growing sickness that promises to envelope us all to annihilation if not for a power above us all to stop it.